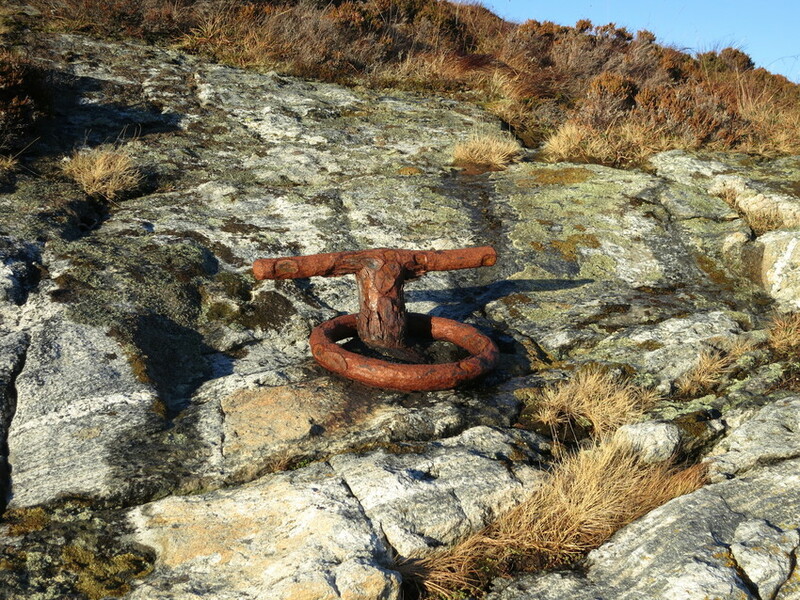 Mooring points on Byholmane, a total of 4 in all that function as a unit. The bollards with tee heads were erected in 1898. At that time the islets or holms were used for grazing and the grass was harvested by the farmers on the Skeide farm.